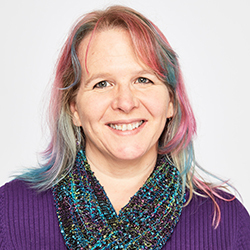 Dr. Wanda Pratt's research interests are in developing and evaluating new types of information technology to help people find, share, manage, and use textual information. She typically focuses on knowledge-based approaches to address problems of information overload in the health-care area. She also bases her work on the needs of real users; thus, her work incorporates studying people's information behavior and the impact of new information technology on their lives. Dr. Pratt is an adjunct professor in the Division of Biomedical and Health Informatics.